The Archaeology Program is pleased to announce the appointment of its new Director. As of July 1, Dr. Scott Harris will be Director of Archaeology. Dr. Harris received a PhD in geology from the University of Delaware and is a specialist in paleo-landscape evolution, primarily within coastal plain and contintental shelf environments. His most recent research has taken him to spaces off of the coast of the US southeast and Greece (the latter for which he was awarded a Fulbright Fellowship). He follows James Newhard, who has served as Director of Archaeology since the inception of the major in 2013. Dr. Newhard steps down in order to more fully devote time to his responsibilities as interim Chair of the Department of Classics and as the Director of the newly-created Center for Historical Landscapes. We wish Dr. Harris the best of good fortune, and thank Dr. Newhard for his years of service. After a few weeks at Hampton Plantation, the team turns to possibly exploring the Revolutionary War siege of Charleston. The Archaeology Program is pleased to announce a public lecture by Dr. Michael Galaty, professor and head of Anthropology and Middle Eastern Cultures at Mississippi Sate University. “From Plain to Plateau: The Origin of Social Complexity in Northern Albania”. Friday, March 24, 4:00 in Simons 309. Research in northern Albania is shedding light upon the origins of social complexity, in particular upon the role of inter-regional interaction. 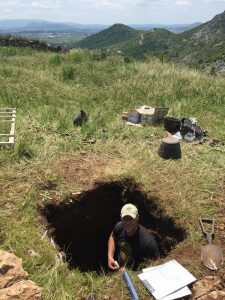 Research conducted in the Albanian Alps, the Shkodra plain, and planned investigations on the Dukagjin Plateau in Kosovo highlight the role of interactions between groups inhabiting different ecological zones within the processes of complex social development and the negotiation of identity over the course of human history. Data generated by these various projects inform models of social complexity elsewhere in Europe, and elsewhere in the world. Dr. Galaty is a former academic trustee of the Archaeological Institute of America, the author of dozens of seminal books and articles on emergent social systems, and recipient of significant grants and awards for his teaching and research. 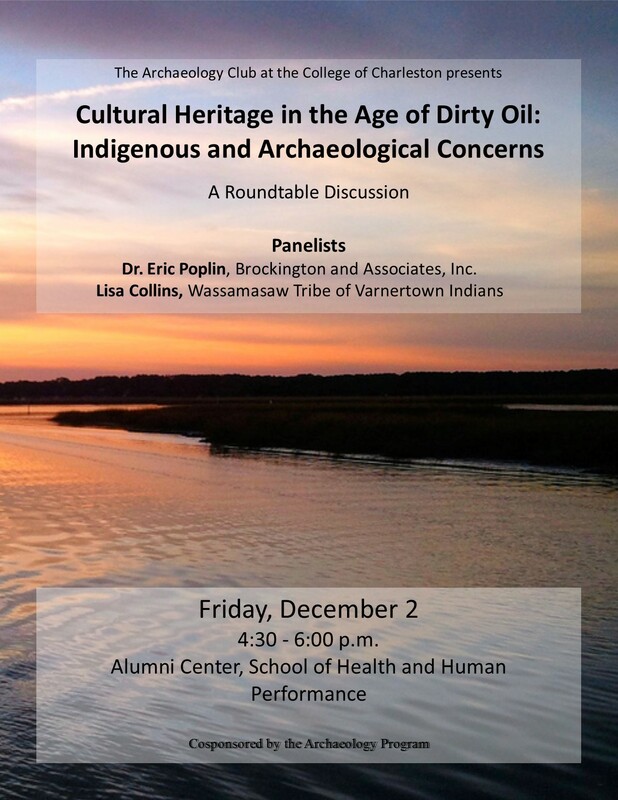 Sponsored by the Archaeology Club, the Program in Archaeology, the Department of Classics, and the South Carolina Society of the Archaeological Institute of America. 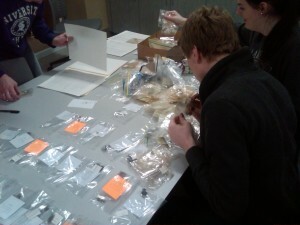 Dr. Allison Sterrett-Krause has been working with students in processing the glass artifacts from Roman Carthage for the past several years, and is continuing this work this year. She will host an introductory session this Friday from 2:30-4:30 in BELL 217. Meeting on Friday afternoons during the semester, volunteers are trained to catalogue and draw Roman glass fragments and asked to devote at least 12-15 hours over the course of the semester to our project. The team’s research goal is the eventual publication of late Roman and early Byzantine glass fragments from the Circus in Carthage. This is an exciting opportunity to learn the basics of artifact analysis from a recognized expert in the field, in one of (if not the only) spaces in the country that holds ‘live’ unpublished glass artifacts from an archaeological project in the Mediterranean. In most cases, the artifacts stay in the country of origin, requiring extensive costs in travel for limited amounts of exposure to the material. In the case of the Roman glass assemblages from Carthage, the material has been legally exported, and are a 10-minute walk down the street. The unparalleled nature of this opportunity is palpable – both in terms of the thoroughness of the analysis and the opportunities for student training and high impact learning. 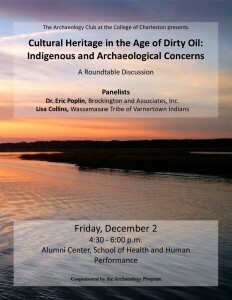 For more information, contact Dr. Allison Sterrett-Krause directly (sterrettkrauseae@cofc.edu). Owing to demand, working on the glass assemblages is currently limited to enrolled College of Charleston students, although visitors are welcome. The Archaeology Club will host its first meeting of the year on WEDNESDAY AUGUST 31 at 5:30pm in BELL 217. 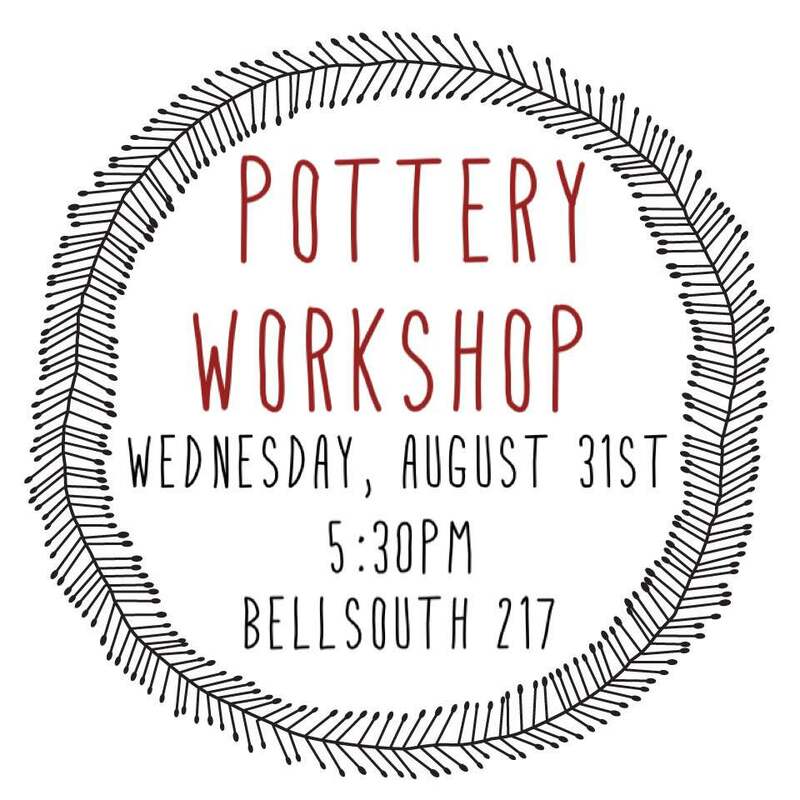 We will be talking about traditional pottery methods, including hands-on construction. 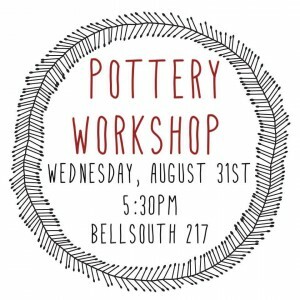 Come an make your own pot! Pottery firing (and weiner roast) to follow on Sept 10. 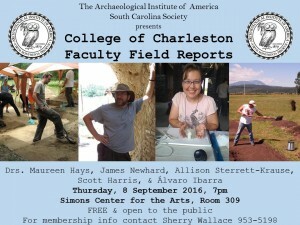 On August 25, the Charleston Museum will host a book launch and signing for Martha Zierden (Curator at the Charleston Museum) and Elizabeth Reitz (professor of anthropology, University of Georgia) whose book, Charleston: an Archaeology of Life in a Coastal Community, has been recently published. In addition to being curator at the Charleston Museum, Zierden holds a courtesy appointment in anthropology at the College of Charleston, and is a long-time collaborator/co-director of the College’s Lowcountry field school. Congratulations to the Archaeology Class of 2015-16! Congratulations to Brenna Knippen, who has been awarded a fellowship to the intensive advanced Turkish program of the American Research Institute in Turkey. This is a nationally competitive program funded by the United States Department of Education, and is limited to 10 students who have demonstrated a knowledge of Turkish at the advanced intermediate level. 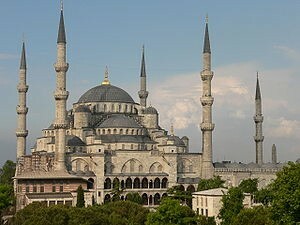 The fellowship provides round-trip airfare to Istanbul, application/tuition fees, and a stipend.